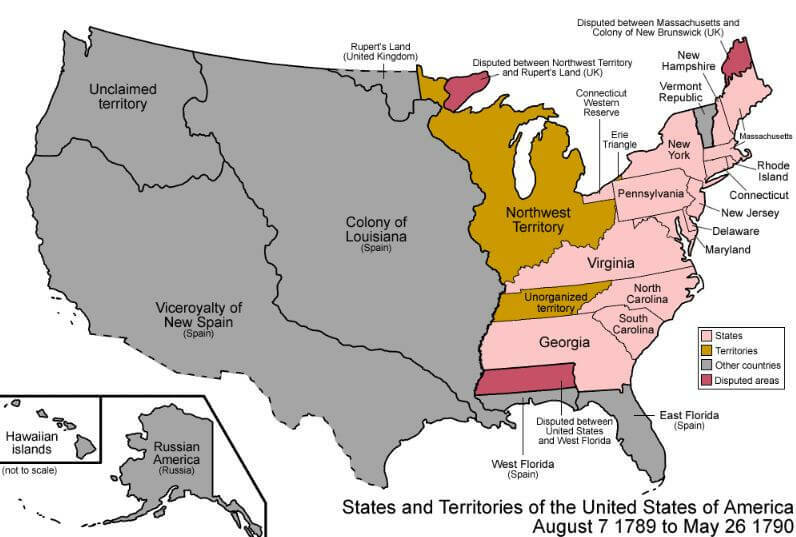 In the first part of US History - Territorial expansion we have discussed Louisiana Purchase, Florida Purchase and Oregon Treaty. In this part Mexican territories annexation will be discussed. Texas was the part of Spanish Latin Empire, in 1821 when Mexico got freed from Spain, Texas was part of it. The short story is that in the last decades of Spanish empire, Spain allowed the Americans to get settle there who were used to have slaves. Laster when Mexico got independence, the new government that does not like the slavery tried to limit it and control the arrival of new Americans. This caused the war between American immigrants and the Mexican government, that Mexican lost in 1836 and Texas emerged as the Republic of Texas. Mexican never recognized the new state and were intended to annex it forcefully. So Texas voluntarily asked USA to include them as a new state due to the fact that it has lack resources to coup with any possible Mexican invasion. Americans were quite interesting in annexing California and New Mexico with them. Eleventh US President James Polk (He was the first democratic president as well), offered a huge amount to Mexico to cede this area to the USA which Mexico declined. Later when Texas joining led a war between USA and Mexico on the issue of the boundary line between Alaska and Mexico. This war fought in 1846-1847, in which Mexican eventually retreated. According to Treaty of Guadalupe-Hidalgo signed in 1648, Mexico not even recognized Texas a USA state but had also given up half of its land to the USA in lieu of $5 million cash and 3.25 million were settled against different so-called claims and debt. This area that the USA got in three years from 1845 to 1848 included territory of Texas, Arizona, New Mexico, California, Nevada, and Utah, Wyoming and Colorado states. General Zachary Taylor which later became USA president as well, was the hero of this war. According to the Treaty of Guadalupe Hidalgo, US would offer the Spanish settlers citizenship and they would hold all their properties. These clauses were not honored by the US. In 1852 under the Treaty of La Mesilla Gadsden purchase was made. As the result of Gadsden Purchase, a part of Northern Mexico included in the USA for the cost of $10 million. Later this area became part of Arizona and New Mexico. It is named after James Gadsden, who was US ambassador to Mexico at that time and one of the signatory the agreement. For former Spanish settlers treatment according to Mexican Cession was promised here as well.